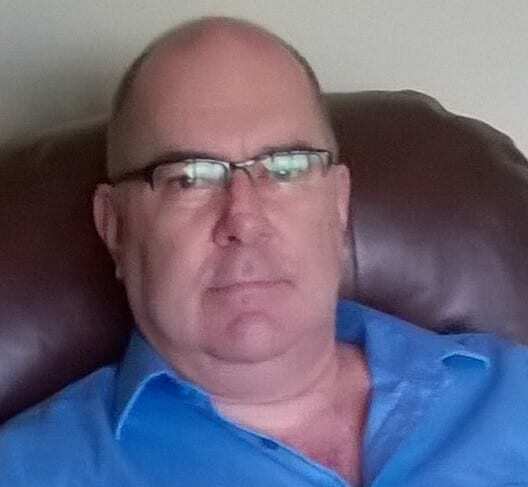 New Brunswick author Wayne Curtis has released his latest title, In the Country (2016, Pottersfield Press) a collection of short stories, twelve in all, that will resonate with anyone familiar with the Miramichi River area where the author was born some 73 years ago. It will especially appeal to readers who lived here over the decades of the 40’s, 50’s and 60’s. It was a time when there was a distinct social divide between country folk and those from the larger towns and villages in the Miramichi area. Many of the stories deal with social restrictions such as not hanging around with townsfolk or striving to become more educated, which was considered pretentious. “A high education is for rich people and not much needed around these parts” Tom Creamer tells his daughter Anne in the title story. In the Country contains twelve short stories of a time that, like the abandoned farms and fields of rural New Brunswick, have all but disappeared. The twelve stories making up this 200+ page book (including an enlightening introduction by the author) are all good and several are quite exceptional in the storytelling. Although Mr. Curtis denies any of his characters are based on actual people, he draws heavily (and worthily) on his past to recreate some very endearing and captivating stories. A few stories (“October Mourning,” “Of Fall and Winter Rain,” “The Road to Falconer” and “The Last Hunt”) all deal with death of a loved one in some way, and Mr. Curtis is at his best when prodding into the thoughts and actions of the loved ones left by the passing of a family member, whether it was a beloved sister committing suicide, a son or younger brother dying accidentally, or the death of a grandfather slowly killing himself with tobacco and alcohol after a lifetime of hard labour in the woods to support the family. These four stories in particular made the reading of In the Country a worthwhile endeavour. There are stories of love too such as “The Natural Way of Things” and “Deceptions of Youth”, the latter dealing with the differences between love and infatuation, the country boy/town girl relationship taboo, and the romantic vs. pragmatist outlook on life and love. Why would I do this to Dan Stanton again? Why would I dig up a grave that has taken a lifetime to sod over? It is a question there is no mature answer for. It is like another power, one stronger than human, stronger than good common sense, has overtaken me and I am going against my better judgement, putting myself in a place where i should not be. Again. At forty pages, “Deceptions of Youth” is one of the longest stories in the book, and has all the makings of a an excellent novel, but Mr. Curtis manages to span the intervening years of Dan and Megan quite adroitly while maintaining the mix of emotions Dan has carried with him all those years. In the Country contains stories of a time that, like the abandoned farms and fields of rural New Brunswick have all but disappeared. Nevertheless, each story has timeless value in the relationships that we have (or must have) with each other and with the land we live on as well. 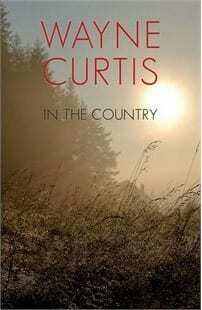 If you are not familiar with Wayne Curtis’ previous novels and short stories, then In the Country is a great place to start. 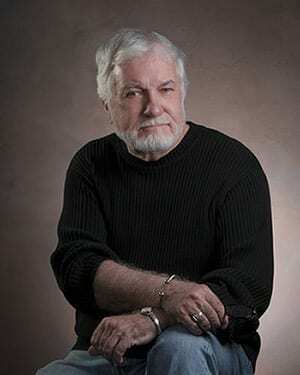 Wayne Curtis was born near Blackville in Keenan’s in 1943. He started writing prose in the late 1960’s. Books In Canada described his work as “A pleasure to read, for no detail escapes his discerning eye.” In the spring of 2005 Wayne received an Honorary Doctorate of Letters from St Thomas University. For his numerous literary contributions and his commitment and dedication to Atlantic salmon conservation, he received the Order of New Brunswick in 2014. He has lived in southern Ontario, the Yukon and Cuba. He currently divides his time between the Miramichi River and Fredericton.